There’s just over two weeks until the release of Trials Fusion and so we’ve got the inevitable DLC info dropping right here. First up is the expansion pass, which will include every piece of paid DLC that’s released for the game after launch. This will grant access to more than 55 new tracks for you to horrifically injure your virtual rider through. Expansion one will be centred around America’s famous Route 66, you’ll have tracks to stunt through, contracts to fulfil and there’ll be a load of America based cosmetic items for you to dress your rider up in. The second expansion will send you to Peru and Antarctica. This will come with new tracks, two new bikes and an explorer themed outfit. Expansion three will give you a series of stunt themed challenges to complete as well as an Evel Knievel style stuntman outfit and an engraved retro bike to ride. Finally expansion four will give you a load of customisation items that are all samurai themed, so, a thumbs up there then. For those not willing to pay out for the expansion pass, the game will have Four seasonal based activities in which you will have access to new poses, animations and customisation items for your bike and rider. There’ll also be holiday themed challenges where you can earn in-game currency and limited-time prizes. No expansion pass announcement will be complete without telling you how you can pre-order. You can go for the standard edition or the Gold Edition which will come with the expansion pass, plus a few other bits and bobs. 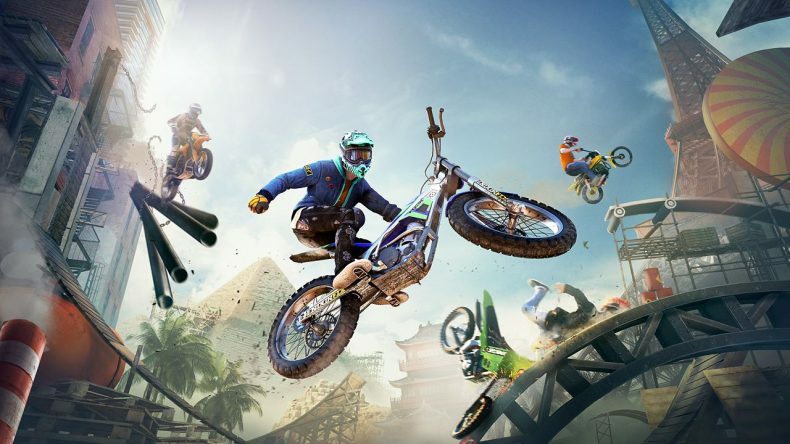 Trials Rising will be release February 26 on PS4, Xbox One, PC and Nintendo Switch.